The Frankfurt Motor Show is still about two months away from opening its gates and yet Renault decided to share a preview of their Frendzy Concept. Forget all those jokes about the French being eager to be first at something in general, the Renault Frendzy Concept is quite the funky and futuristic creation. In both design and electric power it is very fitting of Renault’s brand efforts and from a first impression perspective it looks to me as if it’s a new Kangoo. Don’t get me wrong, there’s not enough information on the Frendzy Concept available to make such a statement but let’s consider a few things. 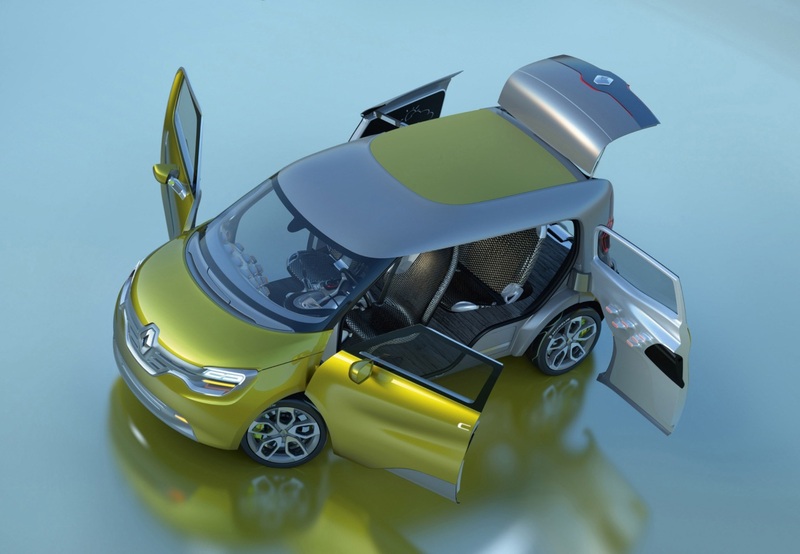 The dimensions of the Renault Frendzy Concept and the practicality you can obtain from it once all the needles concept-like gadgetry you’ll start to get where I’m coming from. Perhaps the Renault Kangoo ZE is going to be one of the versions of the next generation of the French van and the Frendzy could be the one after that or after it as well. 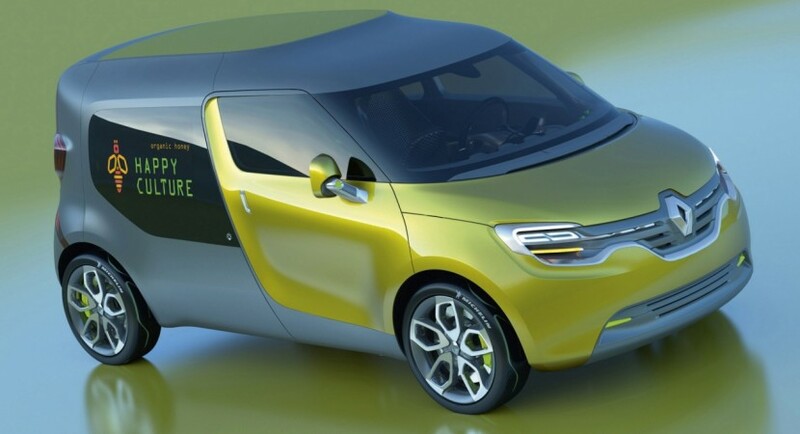 Getting back to actual things we know about the Renault Frendzy Concept it isn’t your run of the mill van. It is supposed to be a commercial product of a different thinking. Despite that, it’s supposed to be inspired in terms of design by the Airbus Beluga and the Antonov 224. 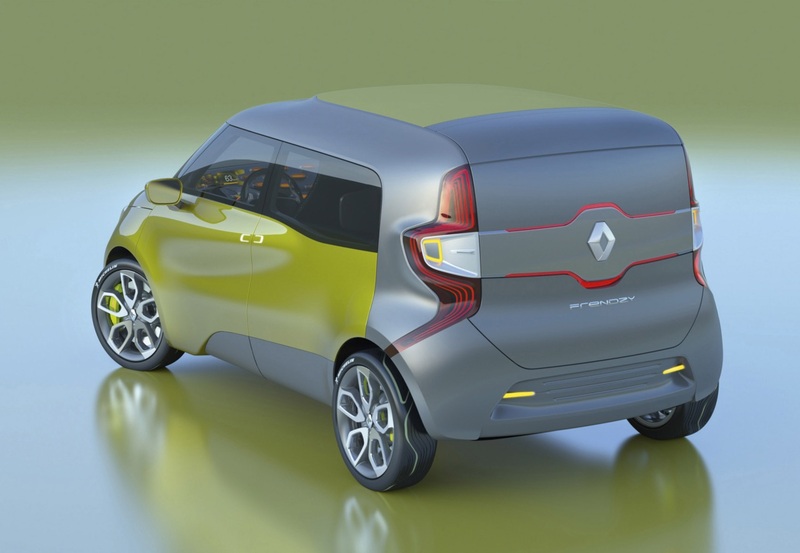 I’m not sure where to go with that but I guess it’s Renault’s way of saying the Frendzy Concept has a huge cargo area. That bit of information is almost as baffling as the rear side door which has a 37 inch widescreen LCD display embedded where a window would go. On the more conventional front, we’re told that the Renault Frendzy Concept is powered by an electric engine with 60 horsepower and 167 lb-ft of torque. Rather predictably there’s a lithium-ion battery under that relatively high rear floor in taking over all those duties a fuel tank would handle. This drivetrain combo would only make a top speed of 81 so I wouldn’t expect any new performance levels to be achieved in terms of range or charging times. As far as interesting or new things go, that’s where the list for the Renault Frendzy Concept stops and we get to the point where we’ll wait for the actual Frankfurt Motor Show to begin.